This Pyramid Represents balance, harmony and health. Its symbol is Yin-Yang and is associated with energy and vitality. Its element is earth and it is the center. Pyramids represent ancient technology that has inspired people of all cultures and ages. 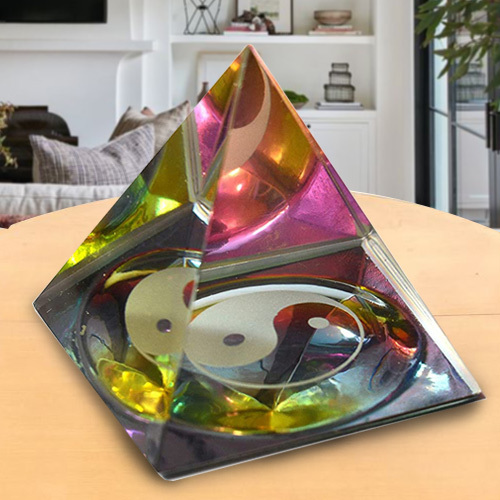 In Feng Shui the shape of the pyramid is significant as it is believed to convert negative energy into positive focused energy. Display on the study table at Home, Office.